Portofino Flats at La Riva, Highland Meadows’ new condo community by Landmark Homes. Rustic craftsman ext, elevator service & secured entry highlight inclusions like oversized garage, granite/quartz counters, hardwood & tile flooring, bronze/nickel fixtures, fireplace, stainless appliances, solid doors, A/C & high efficiency furnace. Photos of actual unit for sale. Open houses at the model, 6650 Crystal Downs Dr #104, 11-4 Sat&Sun. 5k towards closing costs if contract by 2/28/2019! Driving directions: From I-25 and CR 392, go east on 392. Turn south (R) on Highland Meadows Parkway. Just south of Colonial Park Dr, turn west (R) on Crystal Downs Drive. 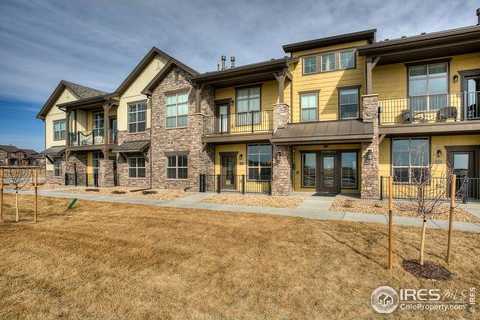 Please, send me more information on this property: MLS# 833809 – $318,408 – 6690 Crystal Downs Dr 204, Windsor, CO 80550. I would like to schedule a showing appointment for this property: MLS# 833809 – $318,408 – 6690 Crystal Downs Dr 204, Windsor, CO 80550.